Scafell Pike is England's highest mountain and this Lake District walk, starting from Seathwaite, follows the direct path via Esk Hause to the summit. 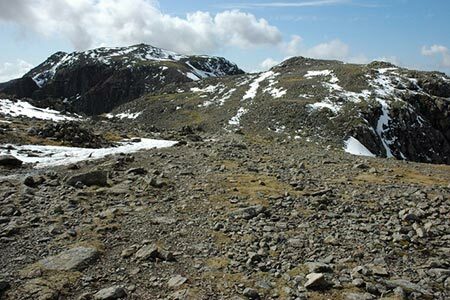 The route is rough in places especially as Scafell Pike's summit is neared. The effort is worthwhile as the view from the top is superb in fine weather. Do go prepared with a map, adequate food and water together with suitable clothes and footwear. A GPX File is available for download (see walk description).